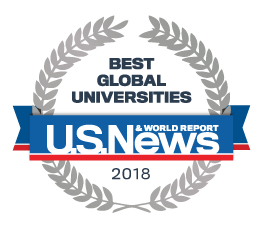 In October 2018, US News & World Report published their ranking of the top agricultural universities, and UMass Amherst ranked 5th in the World and 3rd in the United States. "We are delighted by these rankings," says Stockbridge School of Agriculture Director, Dr. Wesley Autio, when asked about the QS and US News & World Report rankings. "Of course, we think the 150-year-old University of Massachusetts has always been among the 'go to' schools for excellent undergraduate education, but it is wonderful to get this recognition" continued Dr. Autio. The Stockbridge School of Agriculture offers 6 Associate of Sciences degrees, 4 Bachelor of Sciences degrees, and M.S. and Ph.D. degrees. For example, the nationally recognized winners of the Collegiate Turf Bowl Competition, the Turfgrass Science and Management degree, claims 100% job placement following graduation. The Sustainable Food and Farming Program, which allows students to concentrate on farming and marketing, agricultural education and public policy has grown from just 5 students in 2003 to 130 today. Other Associate and Bachelor programs focus on all aspects of agricultural science, important in a rapidly changing world.